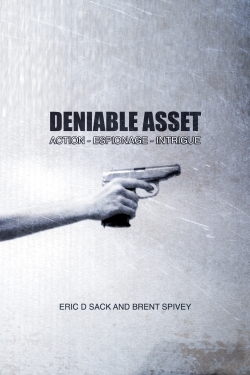 Deniable Asset is Officially Available for Download! Deniable Asset (for those of you with security clearance) is available for download on http://rpg.drivethrustuff.com/index.php?manufacturers_id=3656 . The print edition will be coming shortly! The first Mission, Executive Copier, will arrive shortly as well. In celebration I have penned some fiction: again, you must have clearance! Fear not, thanks to sophisticated java plugins your retina patterns and finger prints have already been scanned (what do you think those web cams and USB keyboards are REALLY for?!). I should be shocked by this. I should be devastated by this. I should be curled in the fetal position. Star takes one look over the railing. The guard down below hasn’t noticed her. She leaps. With practiced precision she brings the weight of her fall, through the heel of her hand, onto the neck of the guard. The guard collapses as Star lands in a crouch. She straddles the guard, both her hands gripping his head, and with practiced precision she snaps his neck. She steps up suddenly, stunned at her own brutality. How she knows how to do all this is a mystery – the mystery; time for questions later. Star picks up the guard’s assault rifle. A little much for guarding a warehouse of basic goods. She walks along the outer wall, past crates and boxes. The smell of vegetables and other foodstuffs noticeably absent despite the obvious markings. Drugs? Weapons? Don’t ask questions. Just get the job done. Star works her way along the next wall to the metal steps that lead to the office. A full story up, it overlooks the entire warehouse. A light is on. As she quietly ascends the steps, she attaches the silencer to her pistol. If there is anyone guarding the safe, then she can’t afford to alert anyone else. She stops just before the last step and peers into the office: one guard, a woman in full Muslim hi jab, and children. At least ten. The woman is teaching them. The instructions from the Bureau are very specific: get the files, leave no witnesses, torch the place, and make it look like an accident. Bullets are generally not accidental.